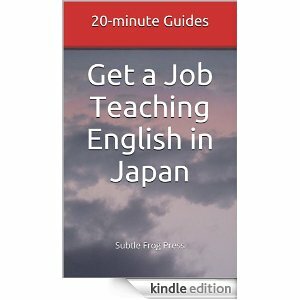 My second ebook, Get a Job Teaching English in Japan, is free on Amazon Kindle for the next couple of days. It’s aimed at people new to Japan, but I would be really grateful if you would grab a copy and leave an honest review on Amazon. The book is available in all the Kindle stores and you should be able to find it with a simple search. If you have any comments about the content, please let me know! One of the nice things about Kindle is that you can fix mistakes after ‘printing’.